Where coffee connoisseurs of the world meet! We bring the best of the worlds online coffee bean shops to you. We have made a selection of the best value and best tasting coffee shops on the web based on your experience and feedback. The Coffee Bean Shop also has a great selection of coffee makers, grinders, machines, pots, mugs, cups and other coffee equipment. Enjoy your visit! Coffee is a daily necessity to millions of people. Of course, coffee is not only loved for its taste. The caffeine kick is needed by many to start the day. 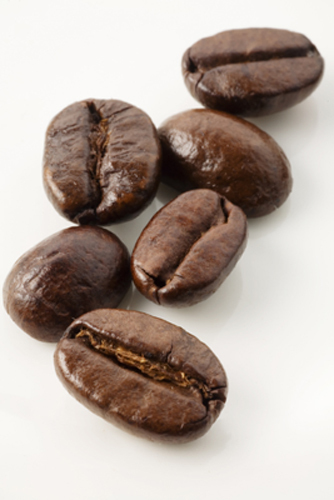 But if you are a true coffee lover, fresh gourmet coffee has a taste that can't be beat. Luckily, it's easy to get a hit of fresh gourmet coffee almost everywhere. There are coffee shops on almost every street corner and quality coffee beans are sold in many specialty shops as well as supermarkets and online. Below is a listing of the best of the best on the internet! Gourmet Coffee and Premium Tea Blends from the world's finest growing regions. Green Tree Coffee & Tea also provides custom blending, packaging, and consulting services to the beverage industry. Wholesale coffee and bulk sales of premium grade teas. Caffe D'Amore is a leading creator and manufacturer of fine gourmet foods, coffees, specialty beverages and more. Coffee of the year 2008. A premium choice of Coffee, Chai, Mocha and Frappe. Since 1985 has been the premier roaster of gourmet coffees from Costa Rica. One of the few companies in the world that harvests, roasts and ships directly from the country-of-origin plantations to customers for a fresh taste. A wide selection of region specialty blends, gourmet chocolates, tropical nuts & coffee candies. This months coffee of choice is: Calima A dark rich roast with slight bitterness. Grown from 100 % fresh Arabica Beans. Where should I buy my coffee? What should my espresso taste like? Can I freeze my coffee? Where's the best coffee grown? When's the best time to use my coffee?